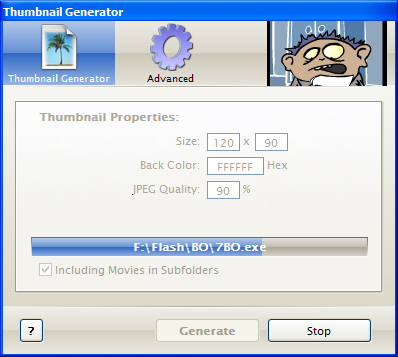 Create thumbnails for hundreds of SWF Movies with this simple tool. Just of any size! Export detailed info about SWF Movies to XML. Automate this task using Command Line. This feature is also included in SWF.max Tools.